Former Target boss Alison Rayson and ex-Nickelodeon UK chief Debbie McDonald will be at MIPJunior tomorrow to launch teen comedy My Bleeping Life. Rayson’s Raydar Media, which she operates with DLT Entertainment, is taking the comedy to Cannes in search of pre-sale partners. She will be attending MIPCOM with her sales joint venture DLT/Raydar, which is operated with DLT Entertainment. My Bleeping Life comes from Genie in the House’s Phil Ox, who operates prodco I Love Television, and Grant Cathro. Raycom and Ox say they have ”already attracted significant production finance” and will be seeking to raise the excess at MIPJunior. The live-action comedy centres around a suburban family that takes in an extra-terrestrial shape shifter from an advanced civilisation. 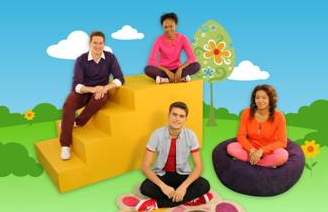 A year after Raycom launched, it has acquired shows such as Olive the Ostrich from Blue Zoo and new CBeebies mixed media Magic Hands from Remark Media. DLT-Raydar will be in Cannes selling shows such as My Family, Flatmates and Our Girl.